The Nordica Santa Ana is an extremely versatile, high performance, ladies All Mountain Ski. Wonderfully smooth and as exciting as you want to make it, they truly will handle everything other than Park. 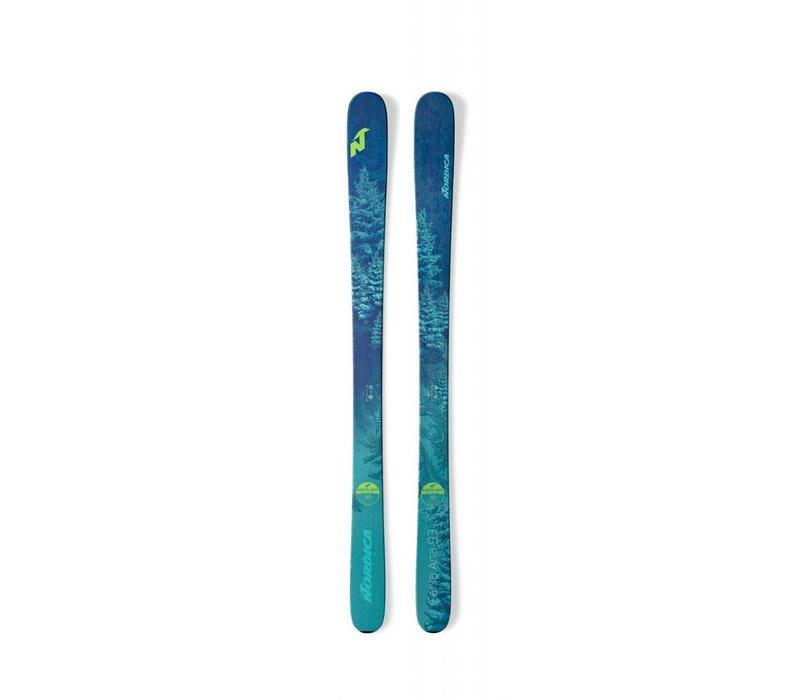 The Nordica Santa Ana 93 is the ladies version of the highly acclaimed Enforcer 93 and is ideal for the developing lady skier who is looking to charge the mountain in any snow condition. Just as with its bigger sister the turn radius is tighter than you might expect which means that on piste the Santa Ana 93 is really at home carving high speed arcs, switching from edge to edge with grace and ease when the crowds become a challenge. Slightly more nimble that the 100mm waisted version the 93 is a superb balance between a piste based all mountain ski and a more floaty freerider. We expect this to be one of the more in demand skis this coming winter as few have the versatilty and power that these skis have. As balanced as it is beautiful, the Santa Ana 93 is at home anywhere on the mountain. With the narrowest profile in the collection, it loves making fluid turns on groomers—yet it can still make you smile on a powder day. A balsa wood core with carbon sandwiched between two sheets of metal minimizes weight and ensures the ski is easy to maneuver. It also boosts confidence by enhancing edge hold and dampening vibrations for an especially smooth and stable ride. For additional floatation in powder and to readily navigate variable conditions, it sports an early rise tip and tail rocker profile. The Santa Ana 93’s shorter radius makes it easy to control turns and transition between them. And because its 93mm waist offers exceptional versatility, it’s the perfect daily driver for women looking to explore the entire mountain. Light, powerful and playful the Santa Ana 93 is the most balanced ski in the collection.